The majority of my work is painted from my own references. In this case, this impressive shot was taken by my sister-in-law, an excellent photographer, on a recent trip to Etosha. It’s great to capture a bird in flight like this – it’s animated and dynamic. 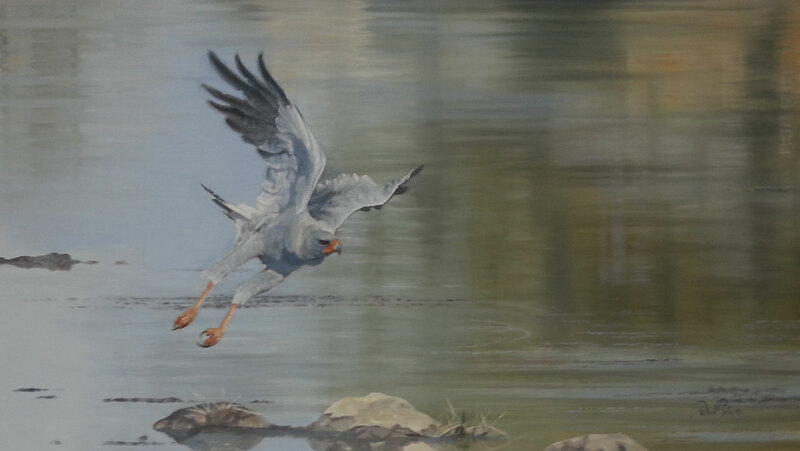 Description: Pale chanting goshawk in flight.